Go Team Cotton takes service seriously with our goal to take you on the smoothest path as we can to find the best lender to meet your needs. We want this experience to be a positive one as you make these decisions on a home purchase or refinance. Apply today with Geneva. Consult with Ebe for the best route home. 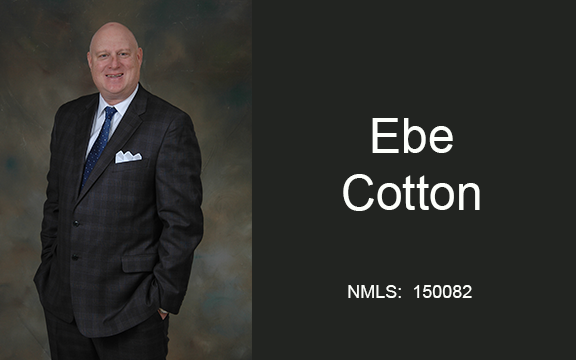 "Ebe Cotton was super to work with. He helped us get into our dream home and we will be forever grateful. Outstanding service from beginning to end. He went out of his way to get our loan closed as soon as possible and truly made it an easy process. Very professional in every sense of the word. Made what could be a daunting process super easy. We couldn't be more happy with our home and with Ebe for making it all happen!!" "Many thanks to all!" Miguel R.
"Ebe was incredibly patient, knowledgeable, and quick to complete tasks and deadlines. More importantly, he was always able to be reached or respond quickly even if he was busy. Would highly recommend Ebe to everyone we know! Thanks!" Chris C.